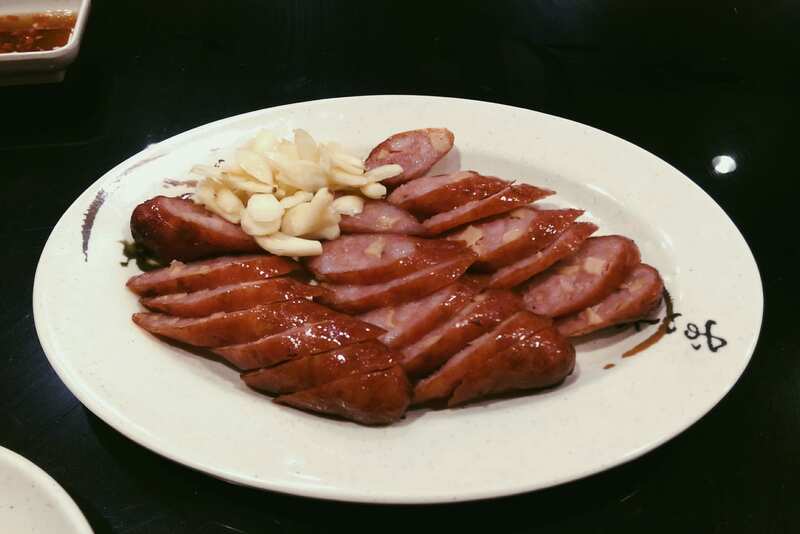 Roast goose is one of those things that’s really common in Taiwan, but not really anywhere else in Asia. Like stinky tofu. Or Traditional Chinese. If you don’t have a go-to roast goose place, you need one. 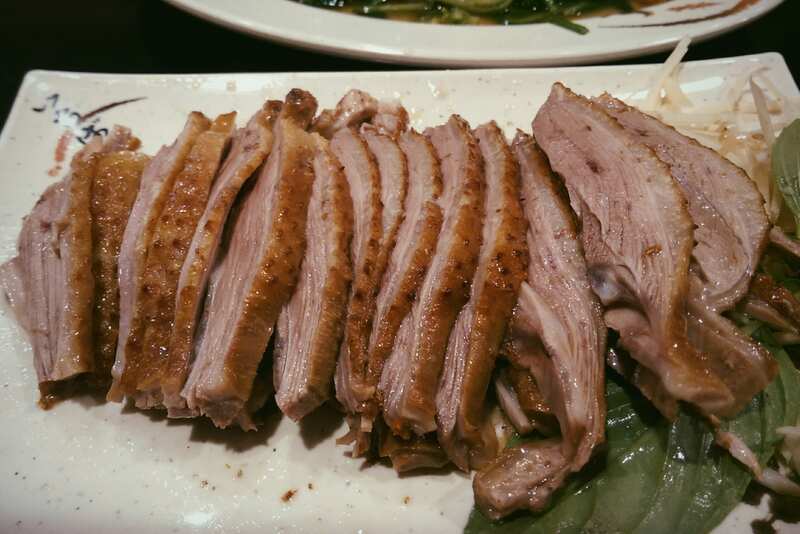 My go-to goose is found at Acheng Goose [阿城鵝肉] in Zhongshan District. 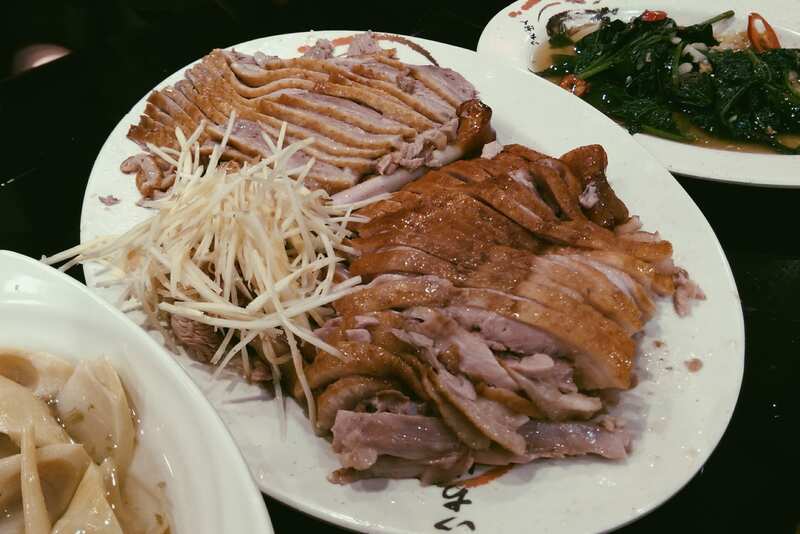 At Acheng, they carve the goose to order and have a full menu of side dishes. It’s a renovated and bustling space, with a self-serve fridge for beer and other beverages. 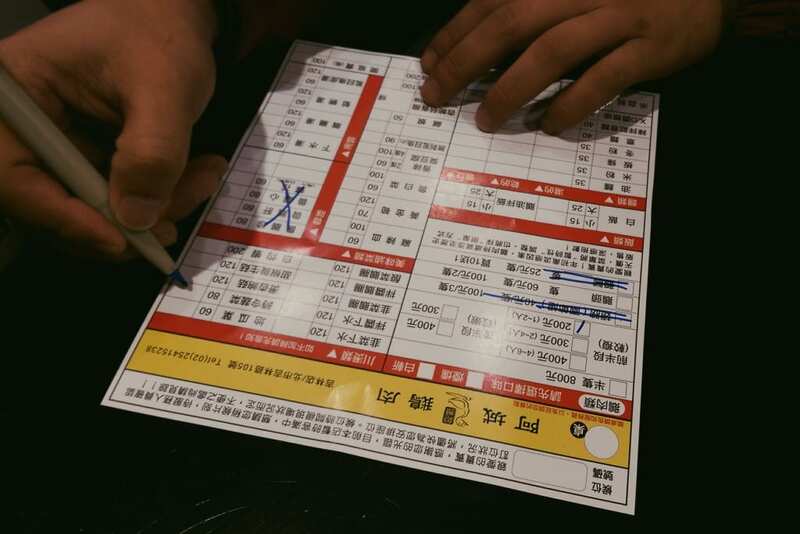 If you’re not sure what to order, go for the items with the thumbs up. Then match up the characters with the order sheet like so. 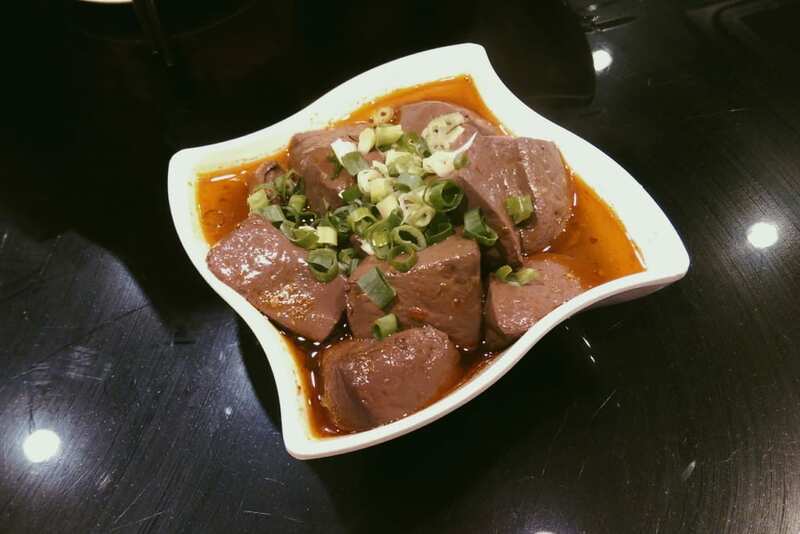 I like to order the hot and spicy duck blood, 100NT. It’s the #2 thumb. And I love these pork sausages with king trumpet mushrooms. You get 3 for 100NT. So much raw garlic, yessss. It’s not a thumb, but it really should be. Goose is the #1 thumb, obviously. That’s the smoked goose for two. That plate is just 200NT, which is insane. 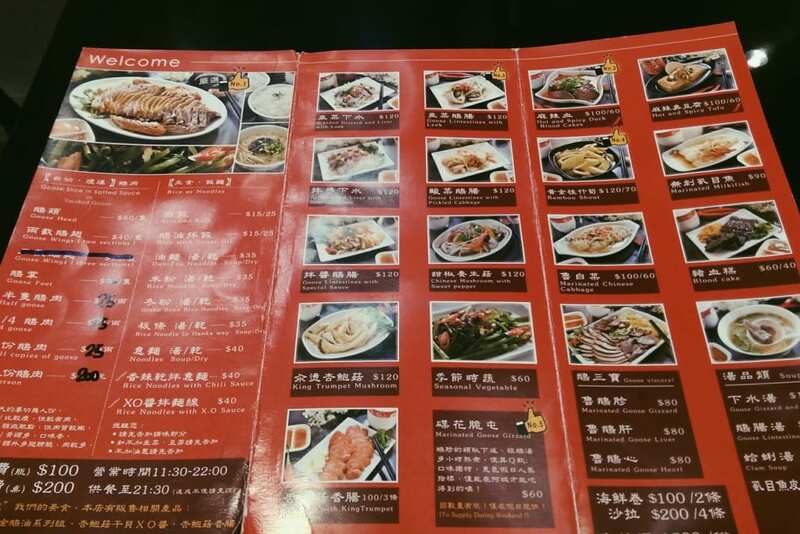 Other things you should try are the steamed rice with goose oil, seasonal vegetables, bamboo shoots (#4 thumb) and any of the noodle bowls. Oh, and the 18-Day Taiwan Beer naturally. Note that they only take a limited number of reservations for dinner, so you might have to wait a little for a table. Just like 10 minutes or so.